means, "Eat Teochew porridge while watching a show!" Teochew muay or plain rice porridge, eaten with a variety of dishes that have contrastingly stronger salty, sour or spicy flavours, is a typically Teochew meal. This rice porridge is virtually a watered-down version of boiled rice where individual grains of fluffy rice remain intact in the rice broth. Dishes served to savour with the plain porridge are cooked in the Teochew tradition using methods like poaching, steaming and braising in recipes that have been handed down through generations. Guests were literally dining on Jalan Trus in front of the Johor Gu Miao or Ancient Temple that was built in the late 19th century by a group of Chinese community leaders led by the leader of the Ngee Heng kongsi, Tan Hiok Nee (1827 – 1902). For the Lunar 303 festival, a section of the road was closed to vehicular traffic and transformed into an open-air banquet hall. Tables were set up on the road in front of the temple with a stage for acts from each of the five clans performed for the audience of about 800 guests as they enjoyed their Teochew porridge meal. The first course of dishes featured eight items like preserved olives and chopped salted vegetables, braised peanuts, boiled salted egg halves, crunchy preserved lettuce stalks, slices of boiled pork belly with garlic-chilly dip sauce and cubes of fu-yee or pickled beancurd paste. This was followed by more Teochew favourites like braised duck and popular kway chap ingredients, steamed fish to savour with taucheo sauce and stir-fried leeks with roast pork. The Gu Miao is dubbed “the temple of unity” because deities revered by the five main clans or dialect groups are housed under one roof. After the temple was officially declared open by Sultan Abu Bakar in 1870, the early JB Chinese community prospered as they lived together in peace with their worship of the five deities, “Zhao Da Yuan Shuai” (Hainanese), “Hua Guang Da Di” (Cantonese), “Gan Tian Da Di” (Hakka), “Hong Xian Da Di” (Hokkien) and “Yuan Tian Shang Di” (Teochew), united in one temple. The Johor Baru Chingay, the annual night parade which is a uniquely Johor Baru tradition, is part of the temple’s 3-day religious celebration for the lunar new year. The JB Chingay parade is an annual tradition that has been kept in this city since the 1800’s without any interruption except during the Japanese invasion in 1942. This spectacular show has been held on such a grand scale that it has not only become a major tourist attraction in JB with foreign media coverage but was also filmed by the Teochew Broadcasting channel for screening in China. The JB Chingay was honoured as the Best Domestic Event in the 2009 Johor Tourism Awards and in 2012 it was recognised as a National Cultural Heritage. To understand why the temple is carefully preserved as a cultural heritage, we must look at the history of the goodwill between the Johor royal family and the JB Chinese community. In 1844, Tan Kai Soon (1803 – 1957), a Teochew and prominent Ngee Heng kongsi or society leader, arrived with a large group of workers to establish the Tan chu kang in Kangkar Tebrau in the kangchu or river lord system to cultivate pepper and gambier, the first economic crops that brought tremendous wealth to Johor. When early settlers from the Teochew, Hainanese, Hakka, Cantonese and Hokkien clans came to JB, they not only brought along their culture and farming skills but also their own brand of justice, gangsterism and vice. The immigrants, who call JB, Sin Sua (Teochew dialect) or new territory, often had hostile clashes. But after a period of anarchy, the clans finally agreed to surrender their secret society activities and lived in peace as their worship was united in the Gu Miao. The Ngee Heng kongsi, led by Tan Kai Soon played a significant role in helping Temenggong Daeng Ibrahim settle the unrest in Muar and in 1873 this society was legalised by Sultan Abu Bakar when he became Temenggong. Led by Tan Hiok Nee, a trusted friend of Sultan Abu Bakar, who was appointed Major China of Johor as well as a member to the Council of State, the society was also assigned to take charge of Chinese immigrant community affairs. When Johor became part of the Unfederated Malay States under the British colonial authority in 1914, the kangchu system was abolished and the Ngee Heng kongsi, disbanded. As a benevolent ruler, Sultan Abu Bakar encouraged the Chinese community to live in peace and continued the goodwill relationship started by Temenggong Daeng Ibrahim. Unlike other Chinese temples that traditionally bear the name of a particular deity, the Johor Gu Miao is believed to be the first Chinese temple in Malaysia to be named after a State. The word “Johor” was incorporated into the temple’s name in honour of the sultan and can be attributed to the strong relationship between the Johor ruler and the Chinese immigrant community. Now through opera singing, traditional arts and music to dining on typically Teochew cuisine at the Lunar 303 festival, the Teochew community in JB is keeping traditions alive to strengthen and unify the community as they pass on their proud heritage to the next generation. “I’m late!” the thought crossed my mind but I’m not going to break any traffic rules to reach the Renaissance Johor Baru at the appointed time. I underestimated the distance from my last appointment in Senai but with smooth traffic on the expressways, I’m just 10 minutes late as I ride the elevator from the upstairs carpark to the lobby. The receptionists are expecting me and they cheerfully greet me by name. The business of checking-in is quick probably because there are no other guests and I’m comfortably refreshed by a welcome drink. A staff stationed in the lift lobby graciously greets me as he ushers me into the elevator and helps me with the security key card. Housekeeping staff I meet along the corridor to my room pause in their tasks to smile and we exchange greetings. I can’t help but notice the personal touch at every point and when I open my room door, I’m welcomed by 5-star elegance in designs of contemporary luxury. And just like Goldilocks, I give the bed and pillows a quick feel to ascertain if their support will give me a restful night. While the bed is nice and firm, I have to check the wardrobe for a firmer pillow. to seek them out independently! While exploring the room to check out the essentials, I not only find coffee and tea making facilities but also a mini bar. But my eyes are riveting to a City Guide presented in a welcome tray complete with small bottles filled with various items. Curiosity gets me reading the guide and I’m amused by the clever way the hotel is introducing local attractions to guests. The amber liquid, I read – represents a nearby Irish pub while the little fish-shaped crackers points to neighbouring seafood restaurants. Intrigued by the nostalgia in the button biscuits topped with coloured sugar tips, I soon discover that they represent the Chinese heritage area while the strings of spicy muruku direct guests to the Indian heritage site. By the time I reach the last bottle, I’m itching to find out what those halved sandwich biscuits stand for. The guide says it’s for the local durian market to taste our King of Fruits; “But what has biscuits got to do with durians?” I wonder as I twist opened the bottle cap and the answer is evident from the pungent pong of the filling in the durian flavoured biscuit! “This is in line with our 3-I’s concept where we present samples of items in the City Guide which are indigenous to various local attractions so as to intrigue guests enough to seek them out independently,” said the hotel’s Public Relations Officer, Siti Natrah Raidanie Roseda Abdul Halim. 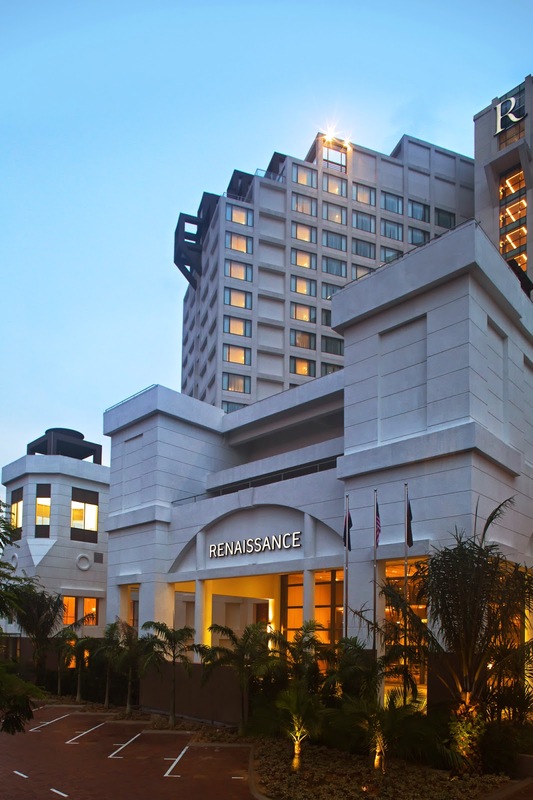 At Renaissance hotels, guests are regarded as discoverers and the hotel’s task is to intrigue and excite them to go out to discover the local attractions. Natrah said items on the welcome tray are changed to match guests or particular celebrations like wedding, birthday or anniversary. This is complemented by a Navigator service, where dedicated concierge staff will provide answers and directions for discoverers to explore and experience the city at leisure. In the last two years, Renaissance JB has earned a reputation for their sumptuous spread at Café BLD, the acronym for Breakfast, Lunch and Dinner, where the café is often jam-packed with diners at meal times. I’m advised that reservations are a must at weekends, term holidays and festive seasons, particularly for dinner as long-term and in-house guests prefer to dine-in to enjoy the yummy buffet. Besides Malay, Indian, Chinese, Japanese, Italian food and a separate vegetarian section, every food station also offers a vegetarian item. The 3-I’s concept flows through the buffet and ala carte menu where guests may be intrigued enough by the choice of indigenous food items to experience the food independently! I pass the Chocolate Cake Company, an open-concept bakery, and pause to watch the bakers remove bread and pastries hot from the oven and cannot resist popping in to savour the mouth-watering aroma. I make a mental note to indulge in their English High Tea served with two types of scones, sandwiches, tarts and cakes, in a portion big enough for two at RM38++ only. They also provide a Grab & Go offer in a range of pizza and sandwiches for takeaways that’s popular with guests who are leaving for work in Pasir Gudang or to explore local attractions. From the tables occupied by families and groups who are enjoying the “All-you-can-eat” dim sum buffet at Wan Li, an elegantly furnished Chinese restaurant in the lobby, I figure that it’s a popular choice for leisurely brunches. But the Chinese chefs want to show off their skills in exquisite halal Cantonese cuisine so I sit back to savour a menu of double-boiled Herbal Chicken Soup, 3-combinations appetizer comprising Sweet & sour beancurd roll stuffed with prawn paste, Smoked duck roll and wasabi prawn topped with chopped fresh mango, and an irresistible range of quality dim sum. As I sink my teeth into the freshly-baked egg tart and sip the chilled lemongrass dessert, I’m comfortably sated and ready for a plunge into the swimming pool but that will be after my quick snooze! 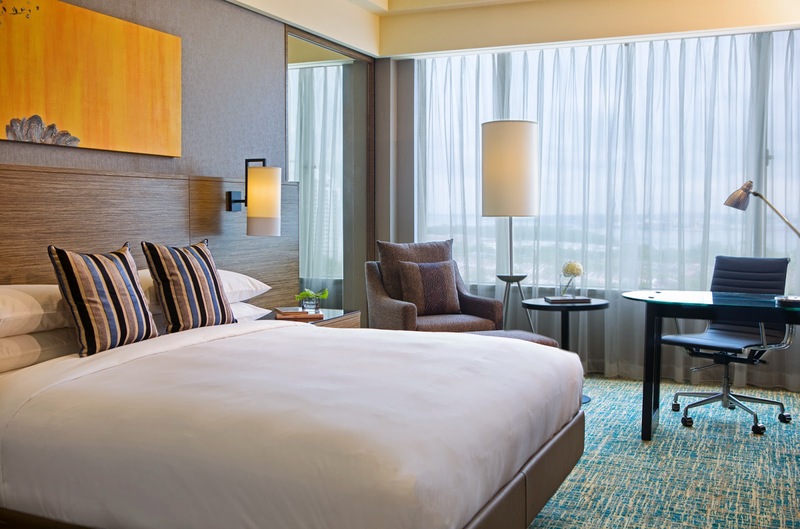 From the Causeway via the Eastern Dispersal Link (EDL) and Senai International Airport via the South-East Highway, exit to the Permas Jaya Bridge and a short drive will take you to the hotel on your left in Bandar Baru Permas Jaya. From Pasir Gudang to Bandar Baru Permas Jaya drive via Jalan Pantai. The inaugural Johor Baru Classical Music Festival, a 3-day educational and interactive musical experience, will be held from May 1 to 3 at the Berjaya Waterfront Hotel, Johor Baru. Jointly presented by the Johor Society of Performing Arts (JSPA) and Euroasia Association of Performing Arts, the festival will be anchored by the National Symphony Orchestra from Istana Budaya under the baton of conductor, Mustafa Fuzer Nawi, and will feature soprano Cecilia Yap. “We are excited to welcome the National Symphony Orchestra back to JB following their sold-out performance at last year’s JB Arts Festival,” said JSPA founder, Yap Siong Cheng. “Having Cecilia Yap back in JB after 8 years is also an honour and we are looking forward to what will definitely be an unforgettable performance,” he added. 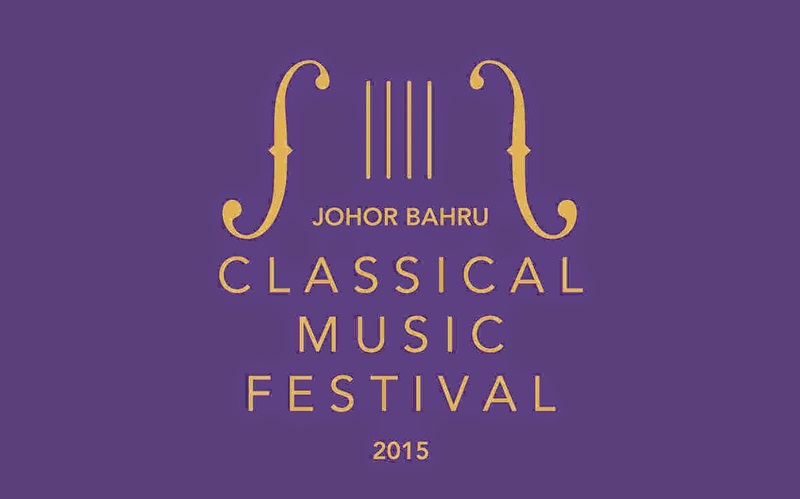 The JB Classical Music Fest is the second in the series of festivals after the JB Jazz Fest under the Johor Baru: International Festival City (JB:IFC) initiative organised by the JSPA to position JB as a leading festival city in the region for world acclaimed arts, music, cultural and lifestyle events. JB:IFC festivals scheduled later this year are the JB Film Festival (11 – 13 June), the 12th JB Arts and Fringe Festival (10 September – 9 October) and the JB Food & Visual Arts Festival (October– December). The line-up of artistes for the Classical Music Fest includes Singapore’s premier string quartet, the T’ang Quartet, whose last performed in JB in 2010. The quartet’s creative and artful blend of East and West music and seamless reinterpretations of classical music will certainly appeal to both contemporary fans and traditional audiences. Some of Malaysia’s most respected musicians and educators who will also appear at the festival are renowned classical pianist, Loo Bang Hean, editor of the Journal of the American Viola Society, violist Dr Andrew Filmer, president of the Euroasia Association of Performing Arts and member of the Panel of Music Examiners for Trinity College London, Angel Lee, and former sub-principal cellist of the National Symphony Orchestra, Jonathan Oh. Each of these dedicated music educators are active chamber musicians who will be presenting a uniquely interactive and entertaining Lecture Concert to kick off the festival. Joining them for two workshops, will be Associated Board of the Royal Schools of Music (ABRSM) Malaysia National Consultant, Ryan Lewis. The workshops aim to provide a platform, not only for students but also teachers, to gain a deeper understanding and appreciation of chamber music while aiming to increase the standard of classical music in JB by educating music teachers and providing them with more options on how to teach and nurture students. The classical music fest will also feature enthusiastic students from Foon Yew High School String Orchestra who will present a mix of Eastern and Western classics to win the hearts of the local community who keenly support JB’s very own young talents. “This is a fantastic line-up of talents that feature a good blend of established and respected musicians with up-and-coming talents for the community to rediscover the timeless genre of classical music,” said Yap. He explained that the JB:IFC is in many ways, a natural step forward from the strong foundation of the annual JB Arts Festival. The Arts Fest, which enters its 12th edition later this year, is the longest running arts fest in Malaysia that offers content from various disciplines and genres of the performing arts. Yap said the JB:IFC is important because as the city expands its local and international reach, so must it continue to embrace and promote the arts as well as showcase the rich historical culture of Johor and Malaysia to its residents and visitors. He is pleased that the JB:IFC perfectly complements the government’s initiative in promoting the Malaysia Year of Festivals in 2015. 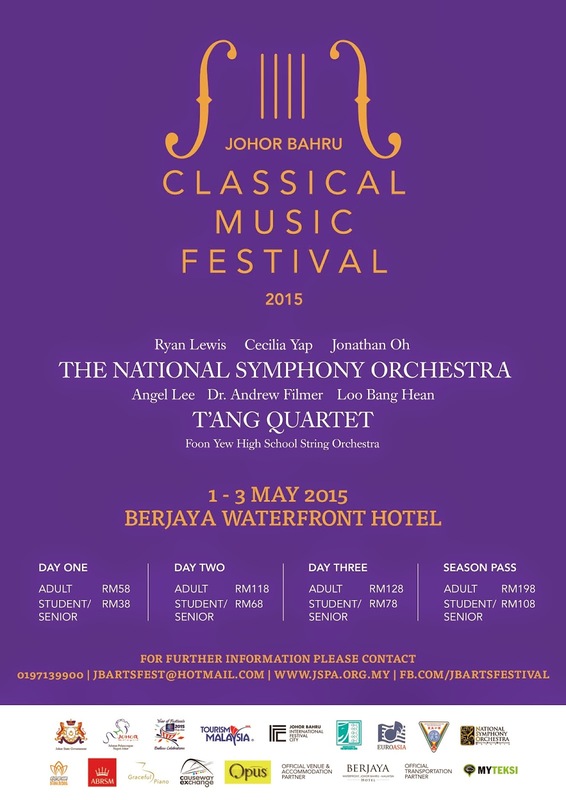 The JB Classical Music Festival 2015 is made possible through the generosity of its partners like Berjaya Waterfront Hotel, Johor Baru as Official Accommodation Partner and MyTeksi as Official Transportation Partner. Rentak Sejuta and Selebriti Online are the Official Online Media Partners in English and Malay respectively while Opus, Astro Channel 862 joins the family of partners as a supporting radio station. Tickets for the JB Classical Music Festival 2015 are available from the JSPA office at The Black Box, Level 4 of Danga City Mall, in two tiers (Adults and Students/Senior Citizens), ranging from RM 38 to RM 198, while workshops are RM 30 per entry for non-ticket holders. For more information, please contact +6019 7139900/+6019 7169900 or follow JB Arts Festival on Facebook: www.facebook.com/jbartsfestival. If you are a fan of the Star Wars movie series, this is your chance to live out your fantasy as a Luke Skywalker, Princess Leia, Obi-Wan-Kenobe, Jar Jar Binks, Han Solo or Darth Vader at the Lego Star Wars Day celebration. Legoland Malaysia Resort invites fans of Star Wars in Malaysia and Singapore to come dressed in costumes and be with them in the Force to celebrate their annual Lego Star Wars Day. The celebrations kick off on May 3 & 4 with an event that features a special parade by fans of Lego and Star Wars. Various groups of Star Wars fans will lead the Imperial March from the Legoland Hotel to the Lego Star Wars Miniland model display in the theme park. More than 50 fans are expected to take part in the march, scheduled for 10.15am. The first 500 fans who come to Legoland dressed as their favourite Star Wars character on May 4 will receive a special goodie bag, the contents of which include a RM100 Legoland Malaysia Resort shopping voucher, an exclusive Lego Star Wars Stormtrooper Sergeant Minifigure, Lego Star Wars Microfighter set and special Lego Star Wars keychains. LOM LUG, a leading Lego fan group in Malaysia, held a competition from January to March for Lego and Star Wars fans in Asia where participants submitted their own Star Wars themed Lego model creations. The three competition categories are Kidz Builder for participants aged 9 and below, Junior Builder for ages 10 to 15 and Master Builder for participants aged 16 and above. The winners of this competition will be announced during the event held in the theme park on May 4 and the winning creations will be displayed in the park till August 2015. “We are honoured to be able to support and engage with Lego fans for this activity,” said Legoland Malaysia Resort General Manager, Mark Germyn. He said Legoland Malaysia Resort is a natural choice with its one-of-a-kind Lego Star Wars Miniland model display. This will be the first time for the resort to celebrate the annual Lego Star Wars Day in such a huge way. “As 2015 is the Year of Festivals for Malaysia, this is a great event for visitors to include in their travel diary this May,” he added. This May, visitors will be able to participate in activities like photo opportunities with a Lego Star Wars photo wall and enjoying building stations to try their hand at creating Lego Star Wars Microfighters to contribute to a Lego Star Wars Mosaic mural. Children can also join a Lego Star Wars themed workshop specially designed for them at the Lego Mindstorm Centre. It’s early on Sunday morning and the businesses at Jalan Tan Hiok Nee, one of the most hip and happening streets in the heart of Johor Baru, are hardly open yet except for that corner kopitiam. I’m going to the Shanghai Dhoby & Dry Cleaning Company, better known as Kedai Dobi Shanghai at No. 53 and I find it sandwiched between modern businesses, Art52Gallery and Bev C Café, in a row of shops that was built around 1916. The collapsible gates are closed but I peek into the open crack on the front door and call out, “Hello!” because I’m meeting Chiew Kek Whye, who runs this traditional laundry with his wife, Cindy Chow. shop and Kay Fong [Right] whom I first met in the park! It’s uncanny how I connected with the Chiew family: When Kay Fong, the eighth sibling in their family (there’s eleven of them) bumped into my sister and her husband in the park, he asked if she was my sister because he identified her from reading my family stories. Later I too met him at the park and we talked about going to visit his brother who took over their father’s dhoby business. This lunar new year, my cousin and her former classmate, Karen Chiew, who live in London now, had a reunion dinner. They were friends in Kluang since Std 2, and my cousin was thrilled to discover that Karen’s grandfather used to run this Shanghai dhoby shop in JB! This dhoby shop is among the few surviving traditional laundries in JB run by Chinese who originated from Shanghai, China. My visit to the shop is delayed because they were swamped by a great deal of work for the Johor Sultan’s coronation. As the laundry of choice for royalty, dignitaries and the state government, they will receive orders before and after special events and the recent coronation was clearly a peak season for them. This Sunday morning, Kek Whye and his wife are in the shop to complete pressing the linen used in royal banquets and I get a peek at table linen that include pretty coasters with the Johor royal emblem embroidered in gold threads! While Cindy is ironing at the table set up against the wall in the rear of the shop, Kek Whye and I are joined by his brother, Kay Fong. As the brothers piece together a brief history for me, I take in the antique glass-walled wardrobes that line two walls, filled with hanging garments made of luxurious silk, satin, brocade and beaded fabrics, dry-cleaned, tagged and ready for collection. Big bags of unwashed curtains and bed linen are piled against the wardrobe fronts, next in line to be washed. We are standing at the glass counter that doubles up as a showcase, another piece of furniture that has been in use for decades here and Kek Whye jokes that they have no chair for me because their work keeps them on their feet! 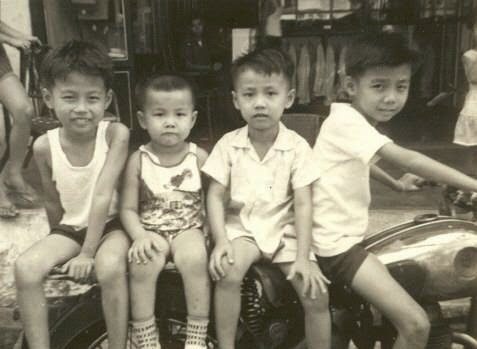 Their father, Chiew Seng Leun, arrived in Singapore from Shanghai in the early 1940s, where he worked as a labourer to repay his boat fare. After payment was settled, he came to Johor Baru in then Malaya, to work with the original owner of this Shanghai dhoby, simply known as Ho. As news of the Japanese invasion in Kota Baru reached Johor in 1941, the Ho family wanted to close the business and return to Shanghai but Chiew volunteered to take over and from 1942 he ran the business while paying Ho rental in the sum of RM25 per month. Chiew and his dhoby business not only survived the war but he also married a girl from a Hokkien family who lived a few doors down the road. He and his wife, Yap Chwee Lan, stayed in the 2-room living quarters upstairs and worked in partnership to develop the business. They have eleven children, all of them except the last two, were born upstairs assisted by a midwife who lived nearby. Yap preferred to deliver the babies at home because she was needed in the business and would go back to work as soon as it was possible. 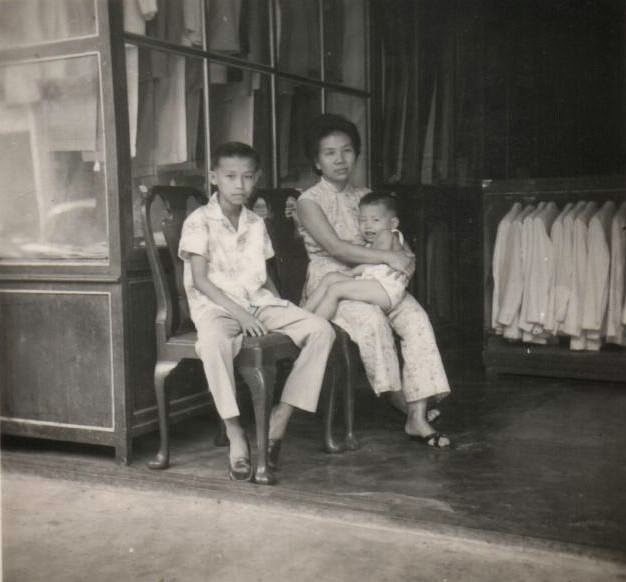 After the war, Ho returned to Johor and opened another laundry which his son took over on his demise but eventually, Chiew bought over both the businesses at Jalan Tan Hiok Nee and Jalan Abdul Samad. "This was the only time of year when the ironing stations were covered with long table cloths and laid out with mandarin oranges, cookies and festive goodies,” said Kay Fong. He described his father’s strong service commitment to customers and how the shop was hardly closed for holiday breaks except at the lunar new year and also because his birthday falls on the third day of the lunar new year. As Chiew and his wife worked side-by-side in this labour intensive business, they were determined to give their children a proper education. So they decided to send one child to a Chinese school and the next to an English school, and repeated the same alternate pattern for the education of all their children! When Kek Whye was 14, he had completed six years in Foon Yew School with two more years in the national type secondary school. He was the only one among the children who learnt the ropes of the laundry business as he worked with his father. After five years in the business, he took a year’s sojourn to see the world by joining a passenger cruise liner that took him to Europe, the US and the Caribbean Islands. He came home to settle down and married his pen pal from Sitiawan, Cindy Chow. After the birth of their second child, he went on his second and final sojourn with a Swedish-American cruise liner, this time as Laundry Master, and explored as far south as the Antarctica and also north to Alaska. With these vast travel experiences under his belt, Kek Whye was ready to continue working with the laundry and on his father’s retirement in 1988, he inherited the business. His pen-pal turned sweetheart and wife, Cindy, is more than a helpmate who works with him in a partnership that’s reminiscent of his parents’. Now with four grown-up children who have careers of their own, these two spend most of their days working together, washing, drying and pressing laundry in the shop. To meet delivery deadlines, this husband and wife team is sometimes in the shop from as early as 3am but on most days, they start work from 5am and pause for breakfast around 8am. Their lunch break is just half an hour at noon and the shop usually closes by 4pm. When Cindy says they often take “rush jobs” home to wash, I wonder when they have enough time to rest! Loyal customers keep returning to them even though the minimum delivery time is ten days. This is probably because they appreciate that each item is individually hand washed the traditional way. I’m told the washing machine is used only to spin dry heavy and larger items like curtains and blankets. I cannot help being curious about where and how they “hang dry” items and Kek Whye leads me into the rear of the shop where I can see sheets and curtains hanging from the ground floor ceiling. Beyond that, I can see the sky through the air-well through to the first floor where more garments are systematically suspended to catch the sun and wind. I pass Cindy at the pressing station where she is using an electric flat iron to press sheet after sheet of linen table mats into thin crisps. This is a solid contraption that has a broad heated flat surface that will smooth out every crinkle with a skillful swipe of her muscled arm. Kek Whye tells me that this is the only unit still in use since his father days in the business and back in those days, it was his mother who would repair the iron! With their business established since 1942, Kek Whye and his father would have done laundry for four different sultans and five different menteri besar in Johor. In fact the present menteri besar was using their laundry services since he was single and working as a lawyer in JB. Later when he was appointed to a federal role in the capital city, he still arranged for his laundry to be done by their dhoby shop! From the formal studio shot taken on their father’s 60th birthday, Kek Whye and Kay Fong are pointing out who’s who in the family photo as we share a laugh at the fashion and hair-styles of the 70s. Of the eleven siblings, only three of them still live in JB. While they treasure the carefree lifestyle and fond memories of growing up in this old neighbourhood, this traditional laundry is not a business any one of them is keen to continue. “When my wife and I are too old to work, we will retire and close the shop,” said Kek Whye with quiet resignation. Armed with a service commitment to customers which he also inherited from his father, he admits that he would rather work than go on holidays. That’s because his mind would be preoccupied by the work piled up for him in the shop. “I’ve traveled enough,” he happily declares. And for now, this hardworking husband and wife team are grateful for modern technology that keeps them in touch with their daughter and baby grandson in Canada. The Johor Baru chapter of Ikebana International (IIJB) held their 24th Annual Exhibition and Demonstration event at the lobby of the DoubleTree by Hilton hotel Johor Baru recently. The exhibition, presented in the theme, Flower Power, was also an opportunity to celebrate the birthday of Charter President YAM Tunku Shahariah bte Almarhum Tuanku Abdul Rahman. Ikebana or the art of Japanese flower arrangement, follows a fixed pattern of a triangle with three points that represent Heaven, Earth and Man, where the key consideration is to use as few plant materials as possible to compose an elegant arrangement. There are several schools of ikebana like Ikenobo, Ohara, Sogetsu, Ryuseiha and Ichiyo where each school follows a particular set of rules and arrangement techniques. 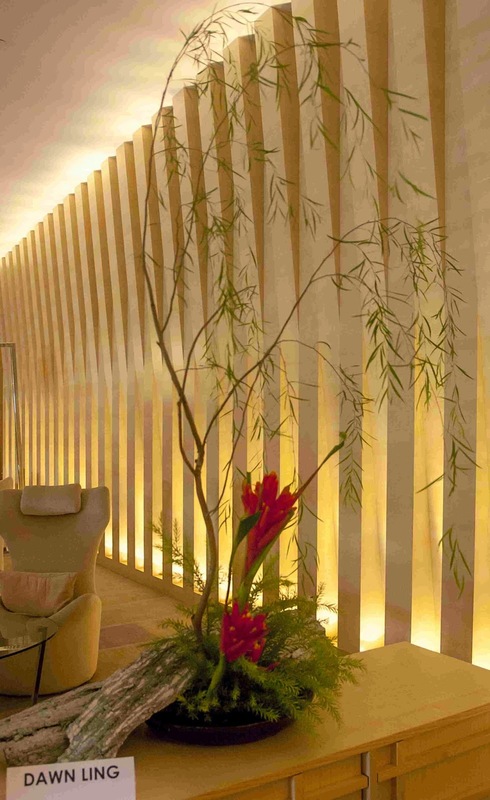 The emphasis is on linear perfection, colour, harmony, space and form, and the choice of plant materials is guided by the artist’s desire to create harmony between the materials and the vessels used. The event programme included a demonstration by guest demonstrator, Dr Leonard Lim, who demonstrated seven table arrangements in the Ikenobo school of ikebana with both traditional and modern freestyle Ikenobo arrangements. Dr Lim, a dental surgeon by profession, is a practitioner of the Ikenobo school of ikebana who has undergone formal education in the art of Ikenobo at the Ikenobo headquarters in Kyoto, Japan. He is also the founding president of the Singapore chapter of the Ikenobo Ikebana Society and remains its president to date. Dr Lim shares his skills and knowledge in the Ikenobo school of ikebana through workshops and demonstrations, and has exhibited in Singapore as well as in counties like Thailand, Philippines, China, Macau, Japan, South Africa, India and Malaysia. In 2004, he wrote a coffee table book, Experiencing Ikebana, to introduce freestyle Ikenobo to flower enthusiasts. The book was revised in 2009 and presented with a new look entitled, Essential Ikebana. 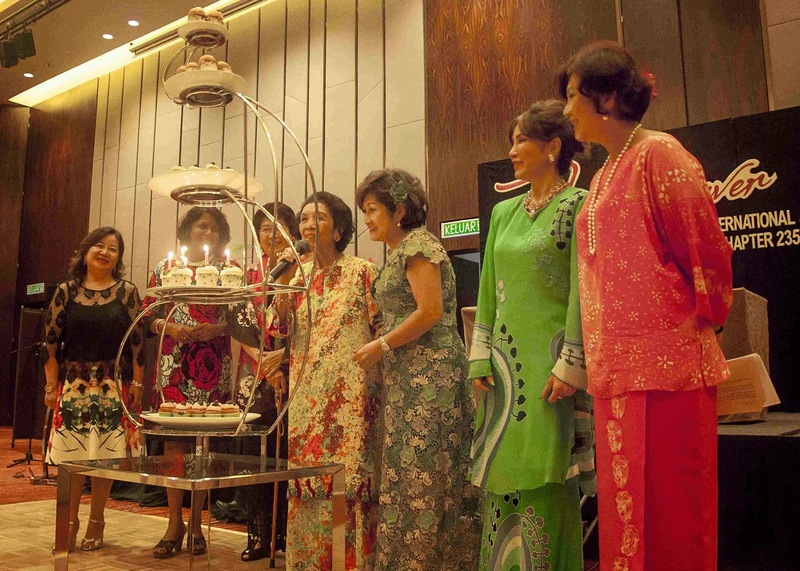 “The event is truly a gathering in friendship through flowers,” said IIJB President, Datin Lynda Loh. “The exhibition, which is open to the public, promotes the art of ikebana to everyone and is an invaluable opportunity for networking among members of various chapters in Ikebana International as they share their experience and ideas in flower arrangements,” she added. 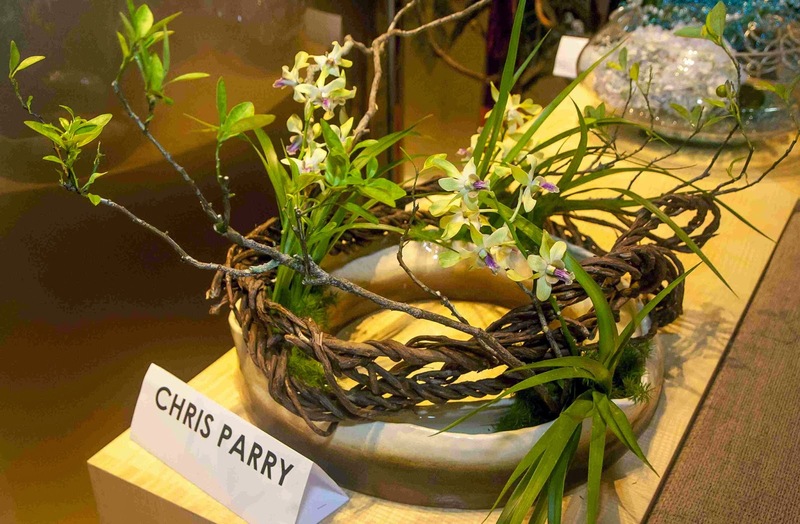 Visitors to the exhibition learnt more about this art of flower arrangement and appreciated the creative presentations of more than 35 exhibits in the theme, Flower Power. The 28 exhibitors who presented arrangements in the various schools of Ikebana included members from Ikebana International Singapore. Also present at the event were Singapore Consul-General in JB, Ian Mak, the wife of Indonesian Consul in JB, Ibu Hanisa, and other invited guests. The event ended with luncheon hosted for about 100 guests where the birthday of YAM Tunku Shahariah was also celebrated. Membership in Ikebana International Johor Baru is open to all who are interested in the Japanese art of flower arrangement. For more info, visit http://iijb.blogspot.com/ and Facebook page: http://www.facebook.com/IkebanaJB for membership enquiries and more info about IIJB activities. Fifty-eight Presidents-Elect from Rotary Clubs in Johor, Malacca, Sabah, Sarawak, Brunei Darulsalam, Labuan FT and Singapore, attended the 25th Rotary District Assembly of Rotary International District 3310 held in Johor Baru recently. Organised by the Rotary Club of Johor Baru, this annual event aims to train the Rotarians for their roles in their respective clubs. This included the Governor’s Banquet where Philip Chong Mau Kiong from Rotary Club of Kuching Central, was installed as the In-coming District Governor commencing July 2015, for year 2015 – 2016. While the Rotarians were occupied with training for their roles, their spouses had a separate Spouses Programme with their own time of training and doing their bit for charity in Johor. Besides learning more about Rotary International and their role and responsibilities as a Rotary Spouse, they gained invaluable knowledge and insights from the experience of other Rotary spouses. Through fellowship and interaction, the spouses discussed ideas for fund-raising, sharing goodwill with the less fortunate and contributing to the needy in their own communities. The main item in the Spouses Programme was a community service visit with the patients at the Rotary Club of Johor Baru Haemodialysis Centre in JB. This is the first NGO-operated Haemodialysis Centre in the region, initially set up in Wisma Abad, Century Gardens as a community service project in 1991 before they moved to the present premises in 2003. In March 2004, then Sultan of Johor, Sultan Iskandar, officially declared the Rotary Haemodialysis & Hospice Center open and it continues to operate as a centre licensed by the Ministry of Health. “The success of this worthy project has inspired many other charity organizations to set up similar centres to benefit the community in Johor,” said Rotary Club of JB Vice-President, Lee Soo Tong. Now seven other Rotary clubs in Johor operate haemodialysis centres while more than 20 such centres have been established by other charitable organisations in Johor. Kidney or renal failure is a medical condition where the kidneys fail to adequately filter toxins and waste products from the blood while haemodialysis is a method for removing waste products and filtering toxins from the blood, using a special filter called a dialyser that functions as an artificial kidney. This centre is installed with a Reverse Osmosis machine and 3,000-litre tank upstairs with a 1,200-litre tank downstairs because an extensive water purification system is absolutely critical for haemodialysis. It has 18 haemodialysis machines operating on two floors and a separate treatment facility for Hepatitis B Virus patients, downstairs. The Rotary spouses learnt that the centre operated two shifts for up to 65 patients per day on six days per week for patients to receive treatments three times a week. To meet its objective in providing affordable treatments to patients who are mainly from the lower income group, the centre has maintained its subsidized charge at RM110 per treatment. Serious health problems can occur in patients who have less than 25 per cent of kidney function if they do not have proper treatment. However, many patients struggle to pay for their treatments and some even tried to save money by going for only two treatments instead of the prescribed three. The centre is managed by a voluntary committee of Rotarians and the daily operations are managed by an administrator who is assisted by a competent team of staff nurses, technicians and nursing aids. The centre sponsors visiting nephrologists from Kuala Lumpur and the training of staff nurses with the National Kidney Foundation. With escalating overhead costs, the center’s operational expenses is over RM30,000 per month. The admin staff in the centre also helps to put registered outpatients in touch with charity or welfare organizations for sponsorship. While patients enjoy a RM50 subsidy from the Ministry of Health, the center bears the costs of the patients’ routine blood tests, nephrologists’ visits and annual Electrocardiograph (ECG) procedure. Some patients may also need special medications of up to eight doses per month to increase their haemoglobin level. Lee said as the Rotary spouses take care of their families and the Rotary family, they have a part to play in helping to create awareness and to adopt a healthier lifestyle as preventive measures against kidney failure. While the centre is supported by many charitable organizations and generous individuals, there is still a big shortfall which the Rotary Club of JB helps to finance through fund-raising activities. As Lee accepted the donation of RM5,000 from the Rotary Club of JB Foundation, he thanked the Rotary spouses for their gift and visit to the centre. Malaysians and Permanent Residents may register for treatment with the center, located at No. 4-N, Jalan Tun Abdul Razak, Susur 3, 80200 Johor Baru. Tel: 607 – 222 2433/222 2403, Fax: 607 – 222 2443.